That Kindle is too cool. Plus the 400 some odd books on it so far. I was supposed to get a lot done today, but in between house stuff I already read a full book in a few hours! The best thing is how little it bothers my eyes! I’m already thinking of all of the things I’m not going to get done because of it. Not only that, I’m looking forward to my hair appointment. It’s got me thinking of other things that I won’t mind anymore, like waiting for the car to be serviced, for a doctor/dentist appointment, all those things I’d get bored waiting around doing if nothing fun was going on on the internet to look at on my phone. I watched TV tonight for a minute with my laptop, Kindle, camcorder, camera and phone all on the couch by me. So many fun toys! But it is hard to concentrate on making a video, sending a text, and reading a book! It’s not even officially here yet and I’ve already gotten my present! Helpful and life changing or cheese easy lameness? My book list goal was to catch up with the average of the three previous years. It dawned on me one morning in March that I hadn’t read a book in 2010. I’m no where near 38 books as you can see here – and winter and snow and ski fun will be here soon! There’s been so much going on that I don’t have the luxury of curling up and getting cozy to read around here. I’ve tried to start a few books on my Droid but wasn’t really feeling them, so I need to get some new ones. I went to the library twice, and couldn’t find the cool kids section, and got discouraged. I’d tell you to suggest me more books, but they probably don’t have them at our little library. 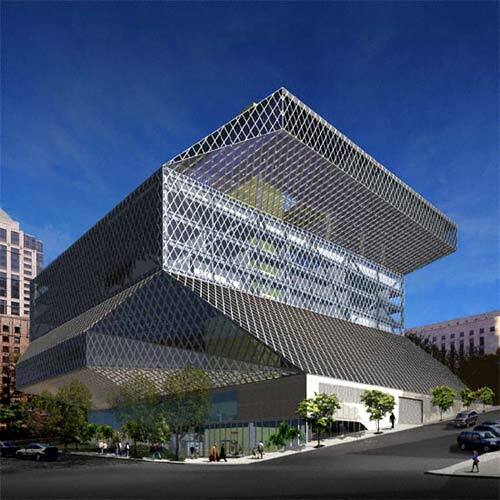 I was so spoiled in Seattle to live downtown right by the main library. It was beautiful, and I walked there once a week with as many books as I could carry home. We just started watching all the Harry Potter movies, since I finished reading all the books. Not sure if it’s because they are old of because I am, but they are pretty cheesy. Overall though, I enjoy things that match up to how I imagined them, and seeing MK watch them without having read the books. The other books I’ve just finished reading and been a little obsessed with are The Millennium Trilogy, the novels by Stieg Larsson. We just watched the original Girl with the Dragon Tattoo movie. I loved it. They’ve recently cast an American version of the film and I don’t really know anyone besides Robin Wright. I hope the movie can do the book justice! What is you FAVORITE book they made into a movie situation? Every one in the airport was reading Eat Pray Love so I figured it had to be worth checking out. I read it and thought it was really dumb. The kind of mid life old lady eat to figure out what’s wrong sob story. I also knew about 100 people I thought could have done a better job given the same opportunity. I went and saw the movie anyway. And I don’t even know how I feel deep down inside about Julia Roberts. I’m not one of those girls that watched Pretty Woman when she’s PMS’ing or anything. The movie was awful. Proves there wasn’t much to work with in my opinion. It hurt my brain. DId anyone like it? Why? I like to read. I’ve had a book list every year I’ve had the blog- until now. And it’s not like I even noticed. Why not? Because I just read my first book of the year. I mean, we’ve been busy with other stuff! I stopped keeping track of what was going on, but I can’t remember if I’ve read a book in a while. So maybe I’ve read one or two, but don’t remember what they were. For the sake of keeping this little space n the internet dragging for myself and the thousands of you getting discouraged each day I don’t have a fresh new post up, I’m going to try to get it going. The new Droid I got helps. I read my first book on the plane to and from Austin. And have many more available. I also have my Park City library card, and although it’s small there has to be something in there worth checking out. (get it, check out? Nevermind.) So I’m challenging myself to start now, this late in the year, and read the average of the last three years of posted books. I’ll let you know what that is when I go do the math. So that should be easy. 38 books. Help me! Suggest things you’ve read that I should check out. There are many simple things that make me super happy in life. What can I say, I’m a simple girl at heart. I’ve told you about my love of having a BlackBerry here, here, and here. Recently, I’ve been super happy finding many new services on my BlackBerry. KD got me on googleTalk, so I can chat with my google/gmail buddies even on my phone. And the best one yet is a free online book reading app where I’m currently reading The Other Boleyn Girl (and loving it so far!). It scrolls and doesn’t bother my eyes as long as I have my glasses on (the ones I hate, still no new ones yet) even in the dark in the car last night. Not only is this discovery probably bad for my eyes, it’s bad for my husband. He already hates me super engrossed in anything, even reading, too often. He also loves his BlackBerry, but only for google maps. He kinda has an aversion. He yells at me if I’m on the phone too much, even if I’m making us dinner plans. Especially if we are around anyone else. Even if I’m talking to someone on the way. You know what I mean, right? I try to have etiquette and strike a balance, but sometimes it’s hard! And that phone can be a real lifesaver when you’re stuck doing something boring, say waiting for a plane. I’m excited about the books, now I don’t need a Kindle! Do you have a phone you’re addicted to? If you do, what’s the best app/program? Does someone else’s phone use drive you nuts?